We are training hard to get ready for the upcoming cross country. We are enjoying the lovely fine days to do our daily exercise. 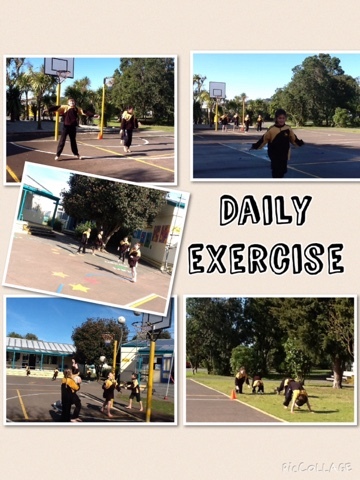 This routine is made up of 5 stations where we rotate every minute doing star jumps, burpees, skipping, jogging and ball skills. It gets the heart pumping.